Deadpool was a surprise box office hit back in 2016, eclipsing expectations and proving that with the right script Ryan Reynolds could carry a superhero blockbuster on his shoulders. Two years on and a franchise is being built, with Josh Brolin, Zazie Beetz and Julian Dennison seemingly attached for the foreseeable future. Deadpool 2 takes much of what’s good about its predecessor and tries to apply it to a new story, introducing a host of additional characters for its titular character to tease and taunt. The goal of the movie is to build on the first film and develop Wade Wilson, and in fairness to David Leitch it delivers on both its comedy and its action. The jokes don’t always hit and the inciting incident is disappointing because it makes the events of Deadpool feel trivial, but the humour and pacing make up for the script’s shortcomings. The biggest issue I had with the film was the way that the story was handled, because although Cable is an interesting character and Wade is given an extra level of depth, the meat of the narrative is derivative. Certain critics have made this point already by likening the film to Terminator 2, and I can see the inspiration there, but I think there’s an even more striking comparison to be made with 2012’s Looper. Looper is a film which is largely based around time travel and world-building, so of course there are differences in how the story is told, but in that film a man goes back in time in order to kill a child who has become a villain in the future. The hero then makes it his business to protect the child in the present day, only to sacrifice himself in the end… and that’s exactly what happens in Deadpool 2. The two films come to their conclusions in different ways, but there are distinct similarities in the circumstances which drive their respective plots. This issue doesn’t ruin Deadpool 2 by any stretch of the imagination, nor am I suggesting that the writers directly copied the story, but the fact that the plot has been done before limited my enjoyment. Once I’d made the initial connection between Looper and Deadpool 2 I began to find more parallels with television shows/films that I like, and from this point onwards I was desensitised to what the movie was doing well. For example, one of the funniest moments in the film takes place almost immediately after a fight sequence, with Wade having to stay inside in order to regenerate the lower half of his body. This is a genuinely entertaining sequence which the audience loved, and I can accept the fact that the writers decided to build on the baby hand joke from the first film, but the gag has been done before by American Dad in the twelfth episode of its seventh season, You Debt Your Life. With these points aside, I should say that I did enjoy Deadpool 2 and I’m looking forward to the inevitable third film in the franchise, particularly if a greater focus is placed on secondary characters. I wasn’t blown away by any aspect of this movie and I don’t think that it’s better than its predecessor, but the X-Force sequence was awesome and Domino and Cable were good additions to the team. Nevertheless, I feel that many of the pop culture references that this movie made will become less relevant over time, and it was unfortunate that characters like Negasonic Teenage Warhead were pushed aside in order to make room for newcomers. To summarise, Deadpool 2 is a fun movie which will satisfy viewers with a passion for the first film. However, from a nitpicky perspective there’s a lot to be frustrated by, most notably the fact that the plot feels imitative and forced. “Doctor Strange” went completely under my radar prior to release. I knew that it was in production and I was aware that Benedict Cumberbatch had been cast as the titular character, but apart from that I hadn’t heard much about it. Imagine my surprise then when I saw the trailer for the first time last Monday and realised that it would be hitting screens in less than a week. From a marketing perspective this could be construed as a criticism, but for me it was actually quite refreshing and enhanced the experience overall. I knew nothing about Doctor Strange prior to watching this movie, so each plot point came as a surprise. I didn’t know about his backstory, his personality, or the powers that he had access to, and I also didn’t know anything about the villain that he’d be battling. This made the film much more compelling for me than it might’ve been had I been previously acquainted with the character, as I experienced Doctor Strange’s discoveries as he made them rather than pre-empting them in advance. I didn’t know what was going to happen and I didn’t have a firm enough understanding of the character to guess, so I could simply sit back and enjoy the grandiose nature of the story without needing to nit-pick its authenticity. This meant that I could enjoy the film like everyone else because I wasn’t preoccupied with how the character was being handled – something which I can’t do when watching most other superhero films – and I could appreciate how the film was presented when reality was being bent and new abilities were being uncovered. This presentation was undoubtedly the best thing about the movie itself, as the special effects were as good as any I’ve seen before. Nonetheless, I should say that whilst the effects are amazing, the story is quite lacklustre. Doctor Strange is a cocky success story with an ego problem who has to overcome adversity in his life in the only way a comic book character can; by journeying to a foreign land and becoming a badass. This is an origin story that we’ve seen plenty of times before, and it clearly resembles Bruce Wayne’s arc in “Batman Begins”, although Doctor Strange’s personal problems are entirely his fault and his goal is much less noble. This self-destructive aspect of the character makes the film feel derivative, as Strange resembles Tony Stark (Robert Downey Jr.) much more than he should given that they may appear on screen together one day. This isn’t necessarily a bad thing – Stark is one of the most beloved and recognisable characters in film today – but we don’t want too many characters with similar qualities clogging up one movie universe. On the other hand, to call this film unoriginal isn’t to say that it’s a failure – it’s quite the opposite. It takes on a story which is very much ‘out there’ and it does so with confidence, maintaining the Marvel tone whilst giving Strange’s story weight. At the same time it separates itself from everything else that Marvel is doing right now by being visually distinctive, looking more like “Inception” than an “Avengers” movie, and in my view it’s one of the most intriguing additions to the MCU to date. “Guardians of the Galaxy” and “Ant-Man” were risky properties to bring to the big screen, but Marvel managed to make both of them entertaining and meaningful. They felt like they had a place in the universe and the same can be said for “Doctor Strange”. It tells an isolated story, with powers coming into play that we’ve never seen before in a Marvel film, but it still feels like a Marvel movie and I have no doubt that it’ll mesh perfectly with the ideas that are already in play in the MCU. In my view everything is coming together in the overarching story that the studio has built, and it feels as though there will be an amazing payoff somewhere down the line. Doctor Strange will definitely play a part in this, particularly considering that Thanos’ (Josh Brolin) arrival is right around the corner. With all this in mind, I should mention that whilst “Doctor Strange” takes everything that’s good about Marvel’s formula, it also inherits its problems. The villain in this film is underdeveloped and used as a building block for the hero rather than as a fully-fledged character in his own right, which is a shame because an actor of Mads Mikkelsen’s calibre could’ve bucked that trend. The secondary characters in the film aren’t afforded enough time to make an impact on the story to feel worthy of the actors playing them, which is most apparent in the case of Christine (played by Rachel McAdams). McAdams could’ve been great here if she’d been allowed to show her ability as an actress and build a rapport with Cumberbatch, but instead she was relegated to a character device to make Strange feel human. She never really felt essential to the story or to Strange, and the only thing to take away regarding her character was that she was nice. Chiwetel Ejiofor was also wasted in his role, and his character arc fell flat despite the fact that he could be important going forward. Despite these problems, “Doctor Strange” was a cinematic experience that I’ll remember for a long time, and it did its job by establishing another major player in the MCU. The effects were incredible, comedic dialogue hit its mark, and the performances of the actors involved were good despite the fact that no one really got the chance to shine. It’s another entertaining film to add to Marvel’s library, and it will most likely start another successful franchise. “Captain America: Civil War” is the culmination of eight years of planning and in many ways it is Marvel’s masterpiece. The action, the CGI, and the performances are great, and in my opinion it’s the best film to feature the main MCU cast thus far. However, for my money “Civil War” is still a victim of the Marvel formula, as it features another lacklustre villain and a story filled with plot holes. The story, as you would expect, relates to an internal dispute within The Avengers. After a flashback opening involving The Winter Soldier (Sebastian Stan) the film starts proper as Captain America (Chris Evans), Black Widow (Scarlett Johansson), Falcon (Anthony Mackie), and Scarlet Witch (Elizabeth Olson) attempt to prevent a biological attack and capture Crossbones in Lagos (Frank Grillo). The mission goes wrong as Scarlet Witch accidently takes the lives of Wakandans on a good will trip, and this leads to a dilemma – report to an international governing body or retire. 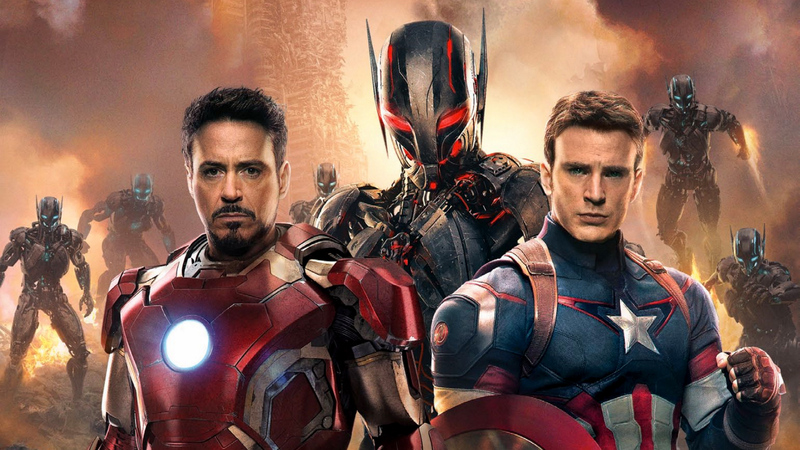 Some of The Avengers agree – Iron Man’s (Robert Downey Jr) group – and some don’t – Captain America’s group. There’s more to the story than that, and in fact it’s The Winter Soldier who really causes the team to divide, but there’s nothing that you can’t work out based on what you’ve seen in the trailers. I have to say that in my opinion the trailers gave far too much away, because you can’t feel worried about a character when they appear in the trailers in a scene that hasn’t occurred yet, and the trailers shows a lot of scenes which happen late on in the film. The biggest issue I have with the plot, (other than the fact that people are very ungrateful to The Avengers for saving the world multiple times), is that it isn’t plausible that our heroes would get into such a mess given that they have such a good rapport. They’re smart people with valuable life experience, so it seems to me that they could always talk about their issues in a civilised and intelligent manner. They aren’t a group of meatheads as this film would have you believe – Tony Stark is a genius, Vision (Paul Bettany) is basically a god, and Black Panther (Chadwick Boseman) is a king. They can talk it out if they want to. Moreover, neither side’s motivations really make sense because they treat the problem as though it’s incredibly black-and-white. Tony Stark refuses to accept that Steve Rogers doesn’t want to report to a committee to decide which people he saves and which he doesn’t, even though he knows that Rogers has been burned in the past by S.H.I.E.L.D. On the other side, Rogers refuses to explain this to Stark and he constantly portrays himself as the bad guy even though his rationale makes complete sense. Both Stark and Rogers act like idiots so that the film has its (artificial) conflict, which in turn makes that conflict feel utterly hollow. The writers are too scared to break the mould to create real problems, because this would result in real and lasting differences; if The Avengers are truly and irreparably destroyed from the inside then they won’t be able to team up against Thanos (Josh Brolin) in the upcoming “Avengers : Infinity War” movie, which is unthinkable for Marvel. As such, nothing of real significance occurs in this movie. This also speaks to a larger issue that the film has, which is that because Marvel’s writers are always thinking about the next step in their filmmaking schedule they refuse to kill off their characters when necessary. When you call your movie “Civil War” it’s rational for your audience to expect that at least one person will die, because the word ‘war’ evokes thoughts of chaos and death. Plus, if you have several godlike beings attacking each other then there should be some damage right? (SPOILER ALERT) Alas, no one from The Avengers dies in this film despite the fact that planes are thrown at protagonists, people fall from the sky, and arrows are shot around by Hawkeye (Jeremy Renner) as though they were made out of jelly. Because of this I personally couldn’t take the movie seriously at all after about the ¾ mark, and by then I’d lost any fleeting interest I had in the plot. Say what you want about “Batman v Superman”, but at least it had the guts to kill off one of its major characters (sort of). However, with all that said I still enjoyed the film. The main fight scene between the two rivalling factions is an utter triumph, despite the fact that the stakes are so low that it feels more like a food fight than a battle of life and death, and with Ant-Man (Paul Rudd), Black Panther, Scarlet Witch, and Spider-Man (Tom Holland) fighting alongside the main cast of The Avengers it’s hard to shake the feeling of genius that permeates the action. Within the extended battle sequence we see such things as Spider-Man stealing Captain America’s shield, using his webbing to take down a supersized Ant-Man, and taking down Falcon and The Winter Soldier as though they were toddlers, and I have to say that it is glorious. The real beauty of the film is the way in which it introduces new characters to the story, and how those characters fit into that story, which is why I felt that Black Panther and Spider-Man made the movie. I can’t wait to see their solo films, and I hope that they have a large part to play in the future of the Marvel Cinematic Universe. Nevertheless, other characters weren’t handled so well, particularly Baron Zemo (Daniel Brühl) who was another forgettable Marvel villain. I still don’t understand the motivation that was driving him throughout the film, (which is probably my fault because he was so dull that when he turned up I tended to switch off), and for the most part he was a pointless player in a movie which didn’t even need a villain in the first place. All in all, “Captain America: Civil War” was an entertaining but predictable experience. It was action-packed, polished, and filled with drama, but it was hard to feel invested in what was a fairly paint-by-numbers film. Marvel have a successful formula going right now and they know how to create amazing action with fantastic CGI, but this formula also contains familiar problems such as underdeveloped villains, awkward romance, and unnecessary comedy. “Civil War” is plagued by these issues, so whilst I enjoyed the film for what it was, I felt that it could’ve been much better had it broke the mould.